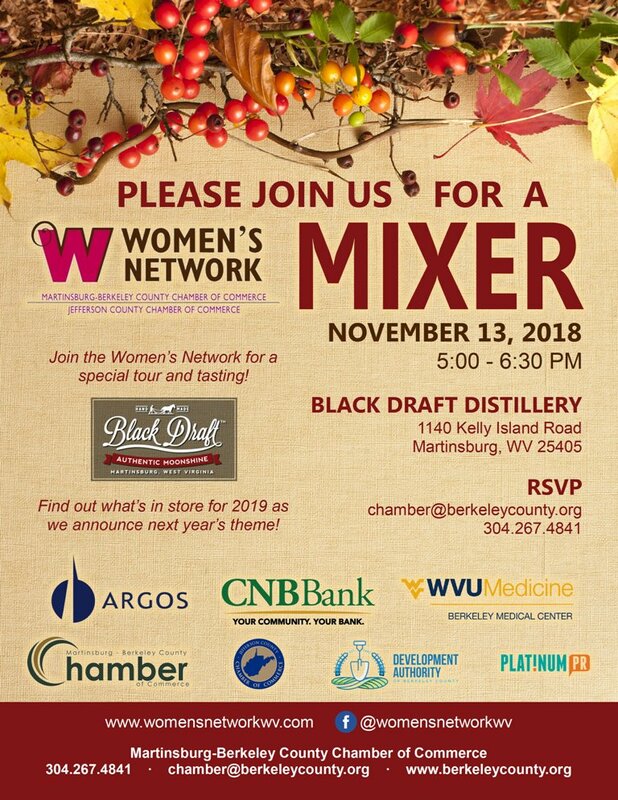 Join the Women’s Network for a special tour and tasting at Black Draft Distillery. Find out what’s in store for 2019 as we will announce next year’s theme! For more information and to RSVP, contact chamber@berkeleycounty.org or 304.267.4841.